Posts tagged "Indonesia street food"
Today, when I organize my photo collection on my flickr photostream, I found this ridiculous photo from my smartphone. 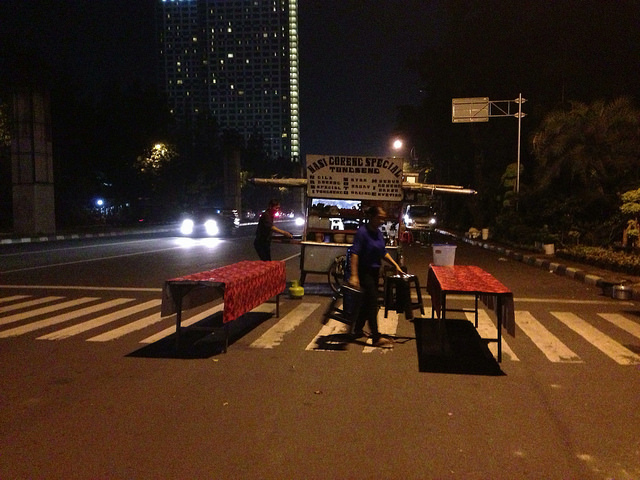 Indonesian Street Food Cart in the middle of a main road in Jakarta,Indonesia. Terimakasih!